Renting a luxury villa is probably one of the most relaxing ways to spend a holiday. After all, you’re free to do your own thing, with a private pool at your disposal, in your own “home away from home” in whichever beautiful, sunny destination you choose to travel to. However, opting to go down this more independent route can bring its own headaches, such as finding a reputable company to go through, and putting all the different aspects of the holiday together. Luckily, we can recommend Top Villas, who make the whole process easy. Top Villas have a huge selection of hand-picked luxury villas to choose from, located all over the world. Whether you’re after a romantic get-away for two or a group holiday for friends or the extended family, they have something to suit. From the team of certified travel experts who will help you plan your ideal break, to the bespoke concierge service who will provide assistance with all the extras including car hire, excursions and spa treatments, Top Villas really do go the extra mile to make sure that you get the best experience possible from your holiday. Below, you will find three examples of the type of accommodation you can expect from a Top Villas rental. Reunion, ranked as the leading villa resort in Orlando, Florida, is the perfect holiday destination for all the family. Just six miles from Disney World, these luxury villas in Orlando are a kids’ paradise, while with three championship golf courses and first class spa and dining options, adults will love it too. 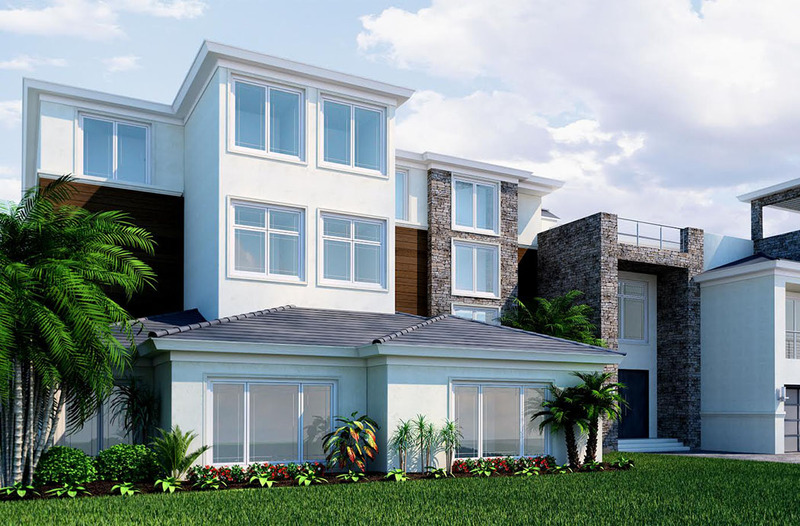 Reunion Resort 6000 is an absolutely stunning 9 bedroom villa. 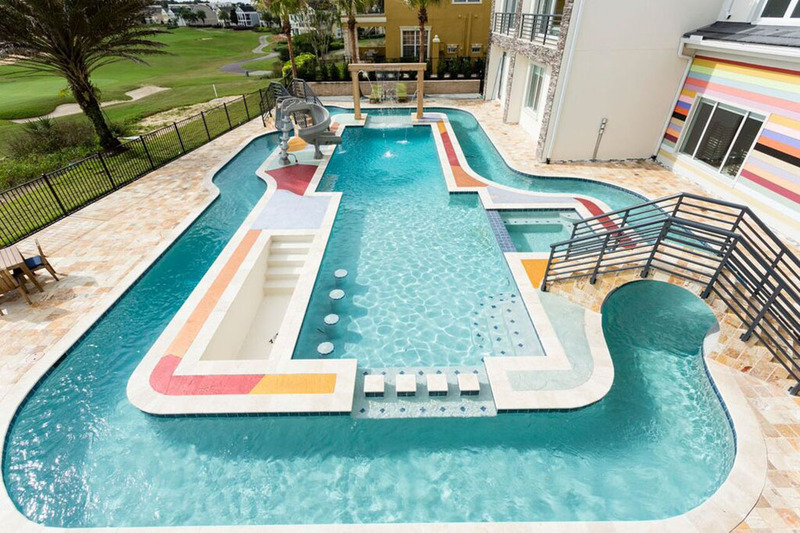 For a start, this Orlando vacation home boasts the longest pool/spa in the whole resort, with under water sun shelf, bubbler jets and beach effect pool entry. Large cabanas provide shade over the vast sun deck, which overlooks beautiful views of a natural conservation area. Inside, the palatial decor will take your breath away, with its sumptuous furnishings, sweeping staircase and sparkling chandeliers. 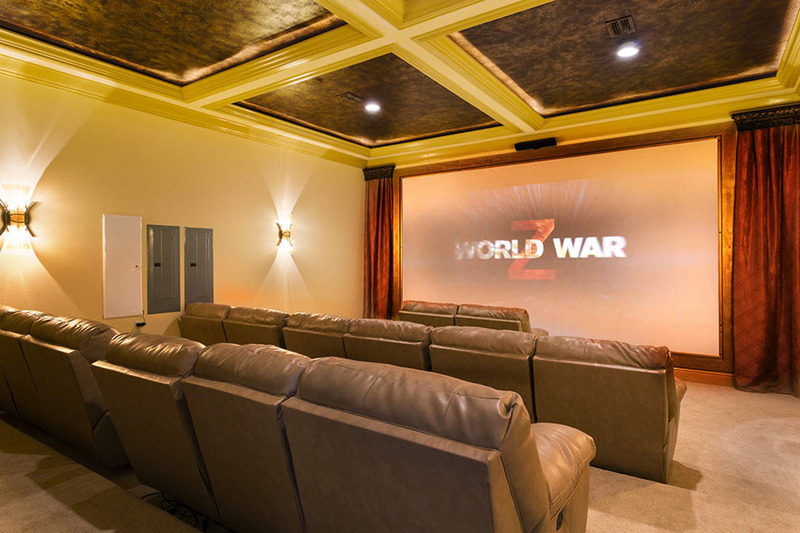 As well as a top of the range kitchen, two luxurious living areas and both indoor and outdoor dining areas, this villa enjoys a private 20 seater cinema with 185 inch screen, surround sound and Netflix. With accommodation for up to 24 people, it’s the perfect setting for group getaways. Each bedroom has its own ensuite bathroom, luxury linens and walk-in wardrobe, as well as Smart HDTV and DVD player. Kids (and big kids!) 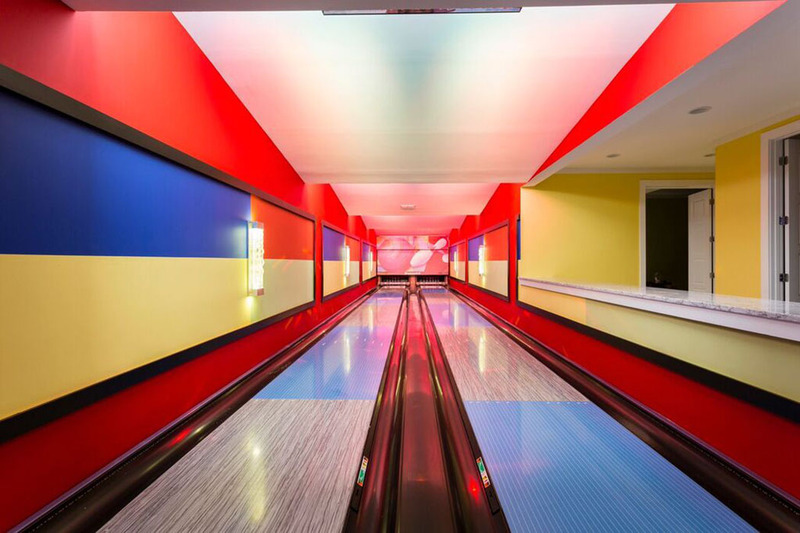 will love the games room and arcade systems, while the outdoor barbeque and summer kitchen can be enjoyed by all the family. If you have an even bigger party to accommodate, Reunion Resort 0 could be right up your street. 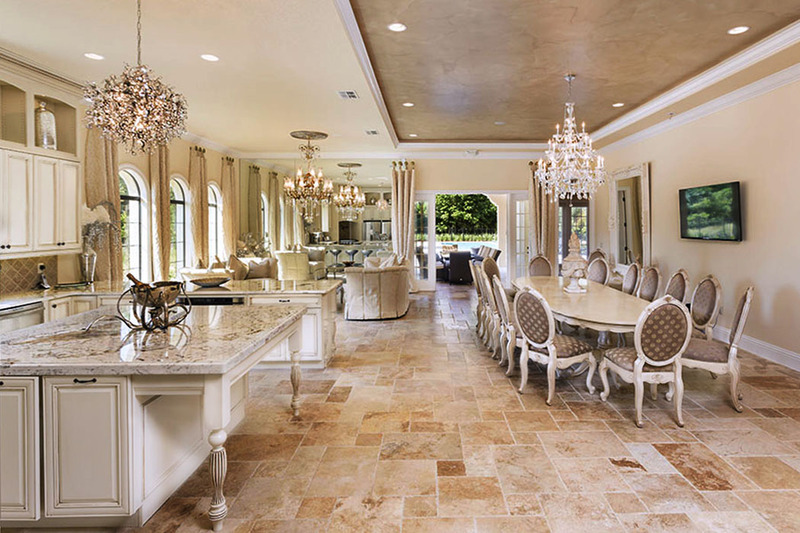 The largest vacation home in Orlando, it boasts 14 bedrooms and 16 bathrooms and can sleep up to 30 people. 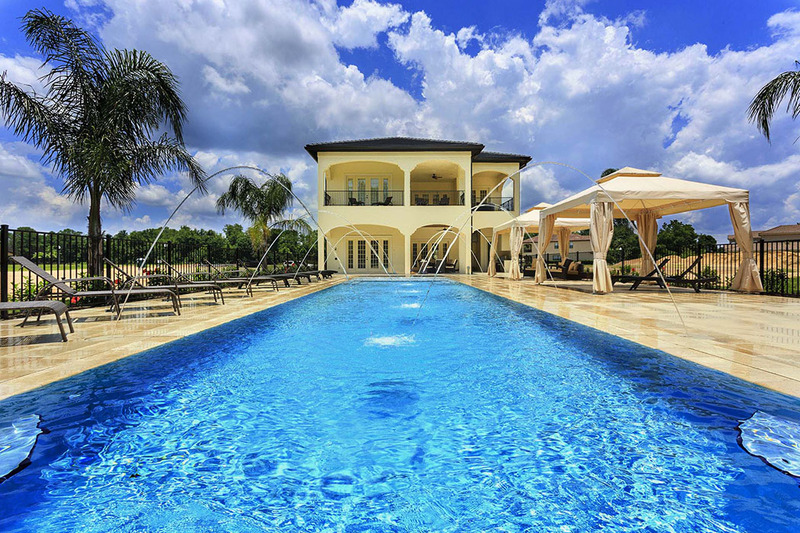 Just 5.5 miles from Disney World, the villa has some spectacular entertainment of its own, including a custom pool with sunken bar, HDTV, illuminated fountains and large spa, a further rooftop pool with spa, bowling alley, golf simulator, private two tier home cinema with 150 inch screen, surround sound and Netflix, and much more. All bedrooms have king size beds and ensuite bathrooms with dual vanities, large bath and shower and private wet bar with fridge and sink. The third floor houses a private suite with all of the above, plus a large sunken Jacuzzi tub with views, a gym and access to a private garden. The four living areas all boast luxurious furnishings, flat screen HDTVs and Blu-ray players, while there are also two top of the range kitchens plus an outdoor kitchen with gas grill for al fresco living and dining. Located on the West Coast of Barbados, the exclusive Sugar Hill Resort is renowned for its outstanding beaches, shopping and restaurants, making it the perfect spot for an idyllic Caribbean getaway. 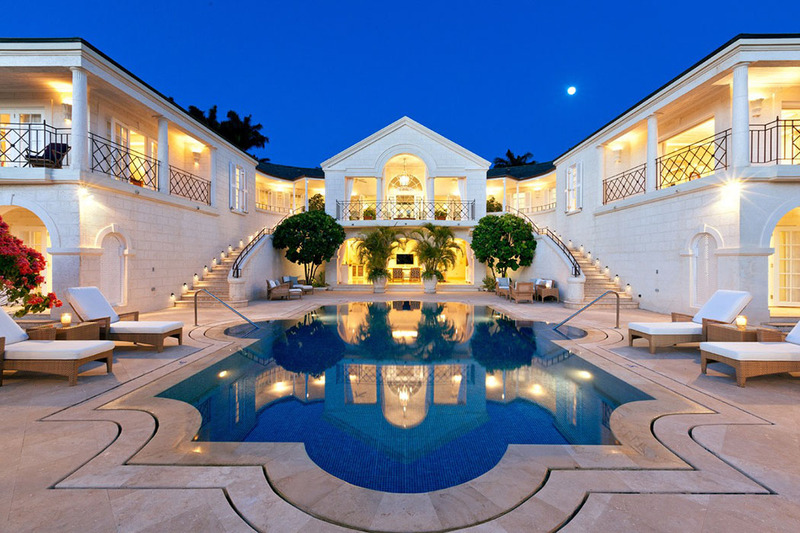 These luxury Barbados villas have accommodation for up to 10 people, Sugar Hill Resort 1 is a very beautiful, elegant villa, inspired in style and design by the luxurious Sandy Lane Hotel. Large glass doors form the entrance to this villa, and as soon as you step inside you are greeted with an uninterrupted view of the Caribbean Sea. 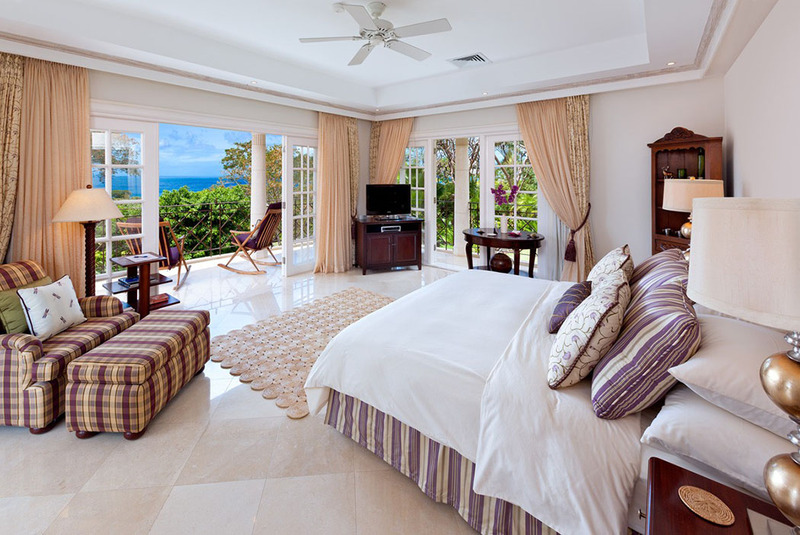 All bedrooms in these Barbados vacation homes have king size beds and ensuite bathrooms with bathtub/shower and vanity, as well as private covered terraces. The master suite boasts an ensuite bathroom with separate bath and shower, bidet and double vanity, as well as a separate living area, walk in wardrobe and sea views. There is a luxurious living area with flat screen TV, Bose surround sound and a bar, a fully equipped kitchen and a dining area with seating for up to 12 people. Outside, there is a large swimming pool and sunbathing area with beautiful sea views and an outdoor kitchen and dining area. Whichever villa you decide to go for, it’s worth noting that many companies, including Top Villas, sometimes offer different rates at different times of year, so if you’re in a position to be flexible, you might be able to get yourself a good deal. The Sugar Hill villa featured here, for example, is significantly cheaper to visit in the summer months than it is during the winter. One thing’s for sure – with Top Villas you can rely on first rate accommodation and a hassle free booking process.